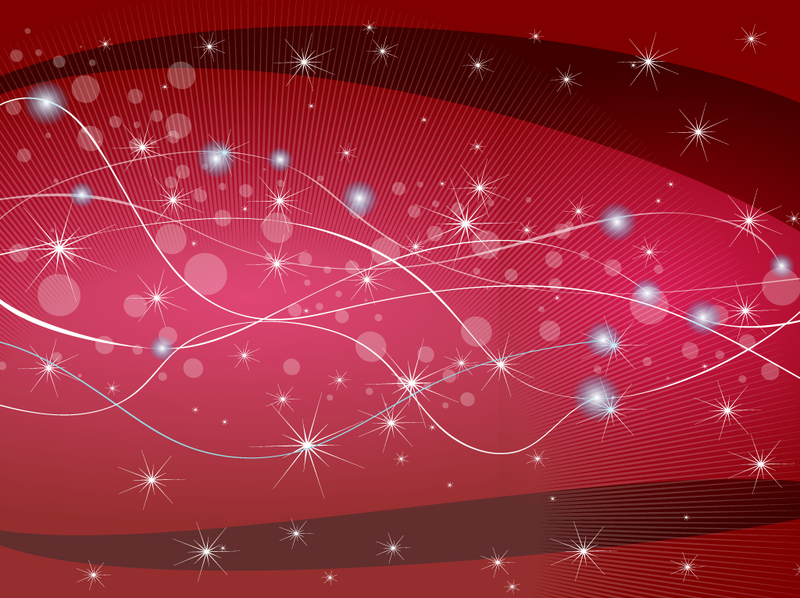 Red vector background with white horizontal swirls, sparkling stars, transparent circles and balls of light. Decorative graphics that are perfect for Christmas of New Year celebrations, happy birthday party invitations and greeting cards. Free download that just needs your images and personal message. Tags: Card, Christmas, Decoration, Decorative, New Year, Sparks, Stars, Swirls.